When visitors arrive in Pinckney, one thing becomes immediately obvious. They recognize that this little village is truly a home. From the friendly faces behind the counters downtown to the quaint village square and centrally located senior center, there is warmth and a togetherness in Pinckney that becomes obvious at first blush. 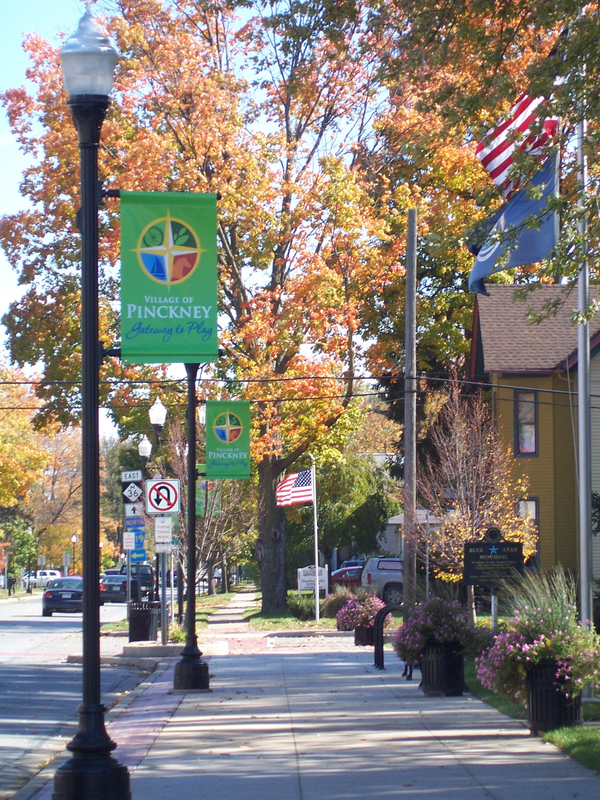 The friendliness of Pinckney is such that passersby and day trippers alike take notice. The people of Pinckney are down to earth; they are laid back, and their truly Americana manner is the stuff the community was built upon. Though not far from the hustle and bustle of the cities of Ann Arbor and Lansing, Pinckney is a refreshing alternative to a high-pressure, on-the-go lifestyle. cities, but they choose to hike their way to happiness in Pinckney. By and large, two kinds of people can typically be found in Pinckney: long-time residents and passers-through. Both visitors and residents find friendliness behind every smile and enjoy terrific events, like Art in the Park and holiday celebrations. Regular commuters along M-36 have found Pinckney to be the ideal rest stop, where they can pick up fresh baked goods, enjoy a fine meal and take part in community events. Once a visitor decides to stay, however, he’ll become a resident for the long haul. Where else would one love to settle, to cut down his commute and raise an active, safe family? Pinckney is both a perfect resting place along the way, and the best kind of community in which to put down roots and be peacefully active for life. 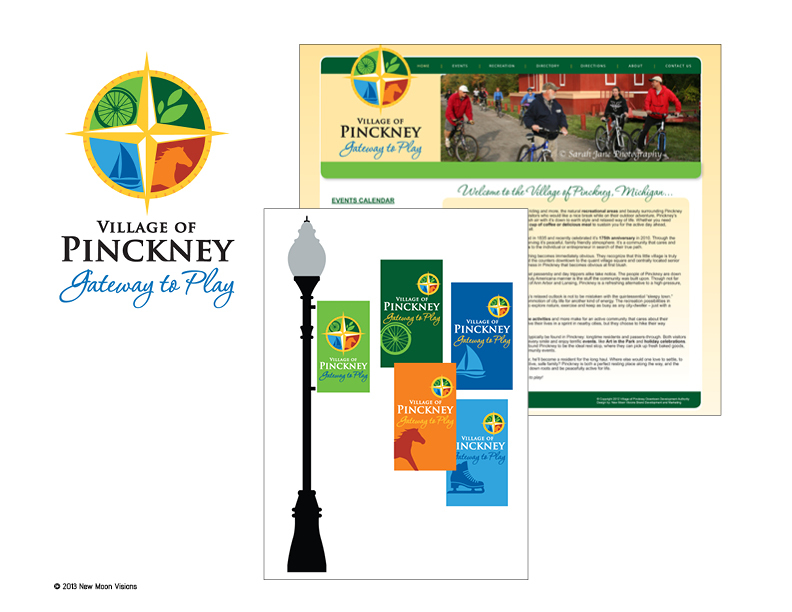 The strength of a long list of recreational opportunities stood out on every survey taken for Pinckney. We soon realized that the strategy needed to communicate this powerful theme in order to help the downtown move forward toward it’s long term goals.